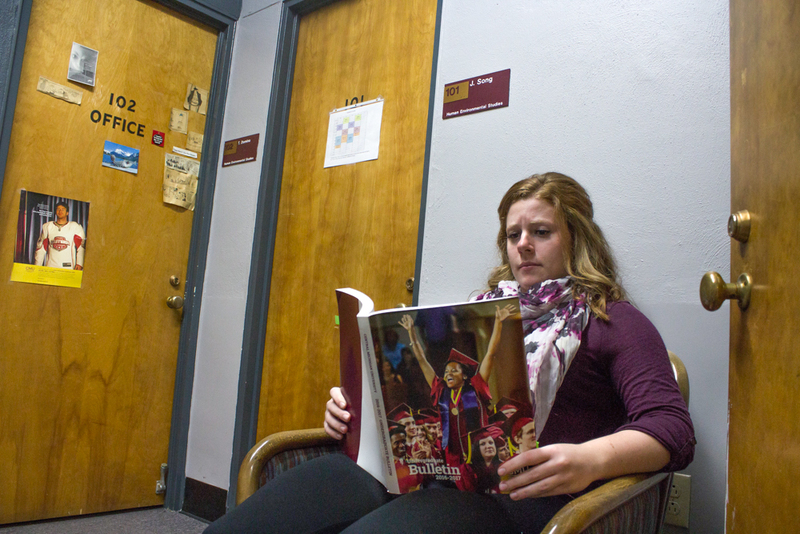 Changing Your Major at CMU: It's not the End of the World | Grand Central Magazine | Your Campus. Your Story. There are those who come to college thinking they have their whole life figured out. I sure did. I had a solid plan to graduate in four years with two degrees, qualified as both an entry level journalist and a high school teacher. Nothing was going to stop me. Except when two weeks into the semester, I discovered I didn’t really like either program. Naturally, I started to panic. I had my whole life planned out, and thought I was behind with the possibility of going to school an extra year. I don’t have the money to do that! If this is you, stop and breathe. Switching majors, though daunting at first, was not the end of the world. The worst part about making such a vast decision is feeling like you’re alone in the whole process of things. Taking advantage of the resources surrounding you on campus and reaching out to those around you can help enormously with this process. Don’t believe me? Here’s my guide to switching majors while only suffering a minor mental breakdown. Talk to a trusted friend or family member about your doubts with your current major. Pick someone who knows you better than you know yourself and who will give you their honest opinion, while remaining supportive. For me, this was my mom and boyfriend; both of them quickly reassured me that this wasn’t going to kill my ambitions of graduating in a manageable time. They talked me down from my initial panic and I was able to think clearly and make a plan of action.As long as I found something that I would love to do, it would all be worth it. Schedule an appointment with a general academic adviser. Figure out what classes you’re taking that you like, what subjects you prefer, and do a little research on any majors you are semi-interested in. If you don’t have any, that’s totally fine! Academic advisers are a gift from God – they can give you endless guidance about what courses to take, how to graduate on time, information on programs, and anything else you could ever need to know. If they don’t know something, they know who to ask to find out. Academic advisers also have this calming air about them; they know how to reassure your panicked soul that everything is going to be okay. After meeting with my adviser, I felt quite confident about my decision to switch majors for the upcoming semester. Set up an appointment with an academic adviser in your respective department. They have loads of specific and detailed information about the program, and can talk to you about everything from courses and ideas for possible minors, to job shadowing opportunities and employment rates after graduation. Not to mention, you’ll start to get a better feel for if you would actually enjoy the major you’re thinking about switching to. I repeat, academic advisers are a gift from God – utilize them. Start mapping out your courses for the upcoming semesters. It might sound kind of time consuming and boring, but it will really put your mind at ease. Look at what university requirements and competency courses you have left, and look into what courses can fulfill these requirements. Best tool in the world for this? Advising Workbench. It’s located on Central Michigan’s website when you sign in with your global ID, and it lists out everything: transferred credits, classes you’re currently taking, mandatory university programs and other competencies you still need to fill(It also contains a lovely list of courses that satisfy the requirement attached in a drop down menu), how many credit hours you’ve completed and how many you’re currently enrolled in. Once you choose a degree and a major, those requirements will be listed as well. Remember that a whopping 80% of college students will change their major at least once. By no means is it the end of the world, and because it’s such a common thing, chances are there is someone you know who has been through it too, and can offer a word of advice or encouragement if you need it. Advisers see it all the time, and they know just what to do. It’s an extremely common thing, and it doesn’t mean you have failed at anything or won’t be able to graduate on time – it just means you need to rearrange some things. So if you decide to switch majors like the majority of college students, don’t panic. There are endless resources on campus that you can (and should) utilize to calm your nerves and plan for the future. If you do end up needing to go to school an extra year or over the summer, don’t worry; at least you won’t be stuck in a career you hate for the rest of your life. The staff at CMU will work to see you succeed. You just need to let them know when you need a little help. Separator image Posted in Advice, Opinion, Opinion & Advice and tagged with Anna Kendall, Opinion and Advice.